If you are looking to buy a cat just to have a pet that doesn’t require a lot of attention, then you are making the wrong choice. Cats are very fragile animals that need to be taken care of, especially when they are sick. The biggest problem people have with sick cats is that they refuse to drink water during that period. That is a widespread thing with cats; they just don’t feel good enough to drink water or any other liquid. That can lead to some serious problems if you don’t do anything about it. 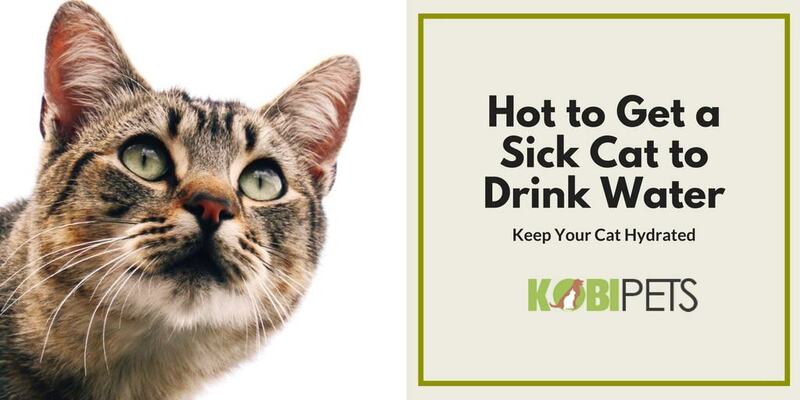 To help you solve that issue, we have created a list of things that you can try out to hydrate your cat when sick. Placing water bowls all around your home in every room is very important. This method might sound like something that doesn’t work, but you have to trust me. Placing these bowls in every corner of the house will increase your chances of hydrating your cat. You have nothing to lose by placing few more water bowls around the house. Try focusing on places and rooms where your cat is spending most of its time. If this method doesn’t work for you, then you can move forward onto something different, but at least give it a try and see how your cat will respond. Cats can be very gentle, and they have a perfect sense of smell. They use their smelling sense to detect the water quality, and if they are not pleased with it, they will refuse to drink it. You have to change the water in their bowls at least three times per day. That way they will have consistently fresh water that is not hot. That can be a problem during summer time because water will heat up very fast and lose its quality. Even you will not drink the hot water, so why should your pet. If you cannot make your cat drink water, milk or any other liquid, then you must try to feed the cat with wet food. That is the next method you should try because at this point you have to give your pet water otherwise the cat can dehydrate. However, before making any drastic changes in the diet of your pet, we suggest that you first talk to your veterinarian about it and ask them about their opinions. You cannot completely change the food your furry friend is eating. It can result in weakening their whole immune system and you don’t want to do that. Do your research and find the greatest wet food that you can give to your cat. The problem with wet food is that the majority of cats will not eat wet food if they are not used to it. And when they are feeling sick, you will have even a harder time feeding them the wet food. 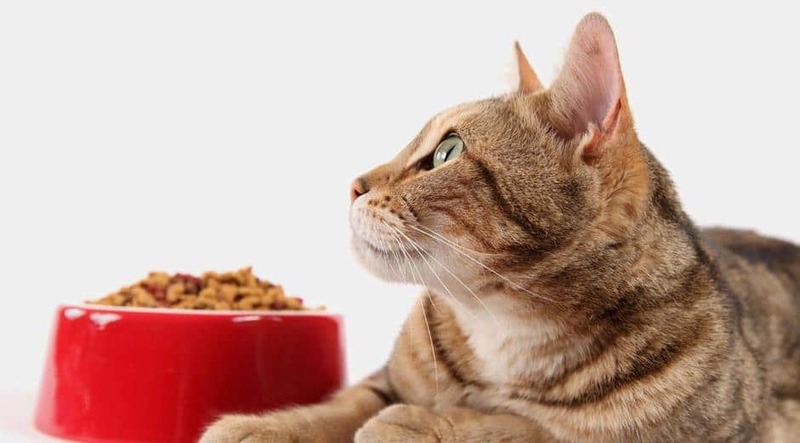 Your job is to make sure that the food you are giving to your cat has enough nutrients and vitamins that will maintain their energy level and of course, their weight. A simple trick like this can make a huge difference when your cat is feeling sick. Changing the taste of the water will fool the cat thinking it is something else that is much better tasting than regular water. 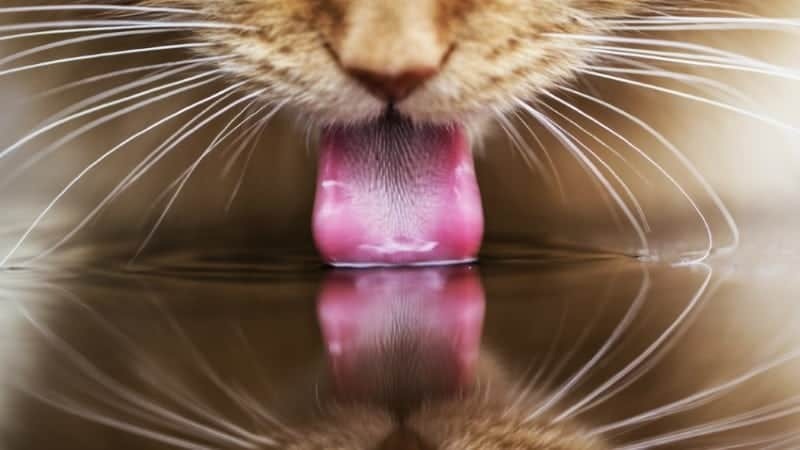 Surprisingly, this trick has shown excellent results, the majority of the cats that refuse to drink water will start drinking after you have added a flavor to it. Of course, we are talking about flavoring the water with something that your cat would find tasty. You have to find special flavors that are made especially for cats. You can also add some tuna juice that is low sodium that usually works very well because cats simply love tuna. One more trick that you can add to the flavored water to make it more desirable for the cats, especially during summer days is adding ice cubes. The ice cubes will not only keep the water cold for a longer period, but some cats find ice very interesting, and they are licking it. Cats are very difficult animals to keep as pets, they require attention, and a lot of love and care. Of course, that doesn’t make them a bad pet, in fact, that just makes them even better choice because they will give you so much love in return. The problem that you can have with some cats is they are very picky. They don’t want to eat or drink just anything. That is a widespread issue, especially with older cats. They can get very attached to their old bowls, and refuse drinking from the new ones. If you see your cat will not drink from the bowls at all, buy a new one. You should look for bowl that comes in different color, shape or even different material. You will eventually find the best option that will please your pet. Cats love to drink running water. One of your options to improve your cats hydration is to consider purchasing one of the cat water fountains that are specially designed just for your furry friend. Check out our product reviews for more information about the best products available on the market.